DFA does not carry medical insurance for its students. Although all activities are performed with the students' safety as the utmost concern, all students are required to be covered under their own family's insurance policies. If an injury should occur, you will only be compensated through your own family insurance policy. I understand that there is a risk of injury to my child with the participation in any dance class or rehearsal. I certify my child is in good health and able to participate fully in physical activity such as dance. I understand that I am waiving my right to bring legal action and to assert any claims against Dance Fever Academy, LTD, its respective agents or employees, for any and all negligence, loss, liability, damage, or personal injury, including death, that may be sustained by the participant, while in or upon the premises or any premises under the control of Dance Fever Academy LTD, its owners or agents, or en route to or from any said premises. I do hereby grant permission to Dance Fever Academy, LTD, and their respective agents and employees to seek medical aid and hospital services as they deem necessary for the child noted on this form in the event he/she should sustain injury or illness while attending Dance Fever Academy classes and rehearsals. I realize that every effort will be made to contact me first in the event of a medical emergency involving my child, and agree to indemnify and hold harmless DFA's agents in seeking medical care for my child. I have also indicated on this form my child's doctor and his/her contact information, a non-parent emergency contact, and any medical information of which Dance Fever Academy should be aware in consideration of the child's physical and mental well being. I do hereby grant permission to Dance Fever Academy (DFA) to photograph my child or children. If photographed or filmed, my child's image may possibly be reproduced for DFA's promotional media at any time in any form, including but not limited to print, digital, and electronic publishing via the Internet, without compensation. My child will not be identified if his or her image is used for promotional purposes. There are no refunds for missed classes or dropping. Tuition & Registration is non-refundable and non-transferable. Payment for the next session is due during the last week of the current session. 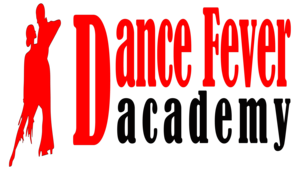 Dance Fever Academy charges a $35 late fee to all payments received after the due date. DFA charges a fee of $20 for any returned checks. DFA has the right to suspend a student if the account balance is over 30 days delinquent or if consistent delinquent payments on accounts are received. DFA also reserves the right to prohibit a student from participating in performances if the account is past due.